Traveling with kids can at times be a major ‘production’. 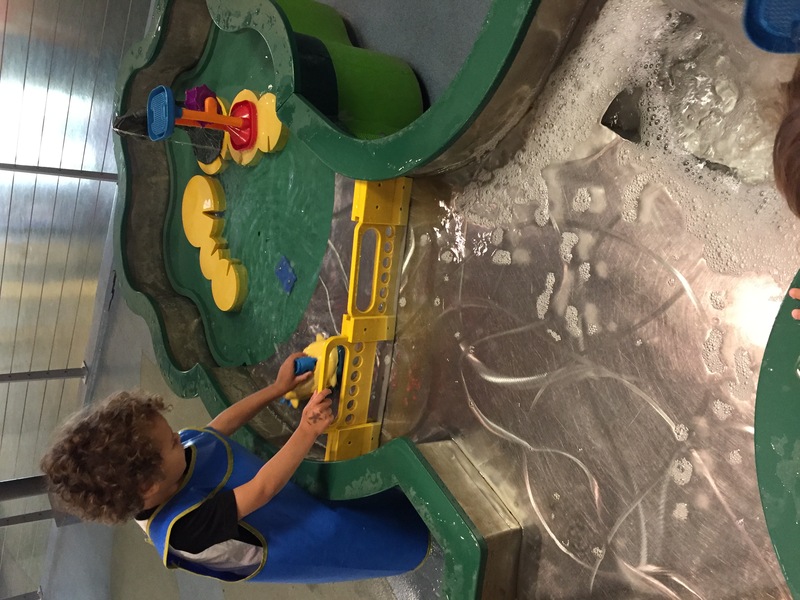 Since my husband’s work requires a lot of travel, I always try to do my due diligence beforehand and make sure I have a sense of kid activities and excursions in the particular city we are visiting. This past week, we visited Greenville, South Carolina, where my husband participated in the BMW Charity Pro Am Golf Tournament. 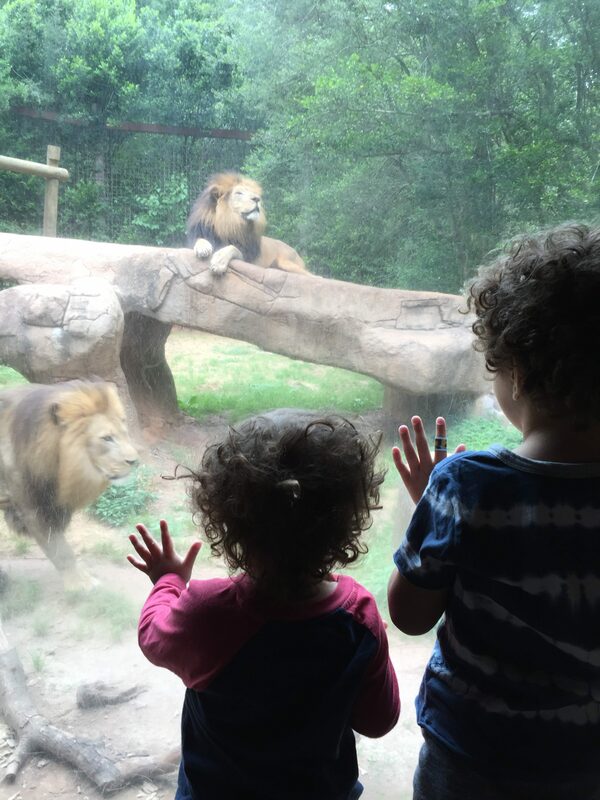 We’ve been to this charming, beautiful city a couple of times in the past for the same event, but since my kids are older, I wanted to explore some more age-appropriate activities in the area. 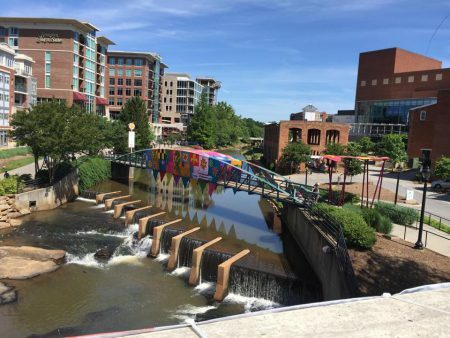 If you’ve never been to Greenville, I HIGHLY recommend adding it to your list of possible family vacations. 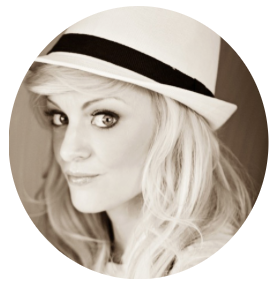 It’s such a unique, quaint town with so much character, amazing food, great boutique shops, and takes great pride in their involvement and presence of the arts. The Children’s Museum of the Upstate. This is by far one of the best children’s museums, hands down! We LOVE this place. 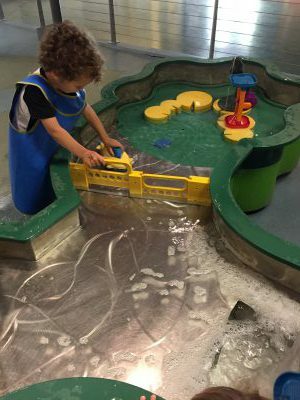 It has multiple hands-on galleries, water tables, elaborate indoor play apparatus, outdoor playground, amazing exhibits and classes catering to all ages. 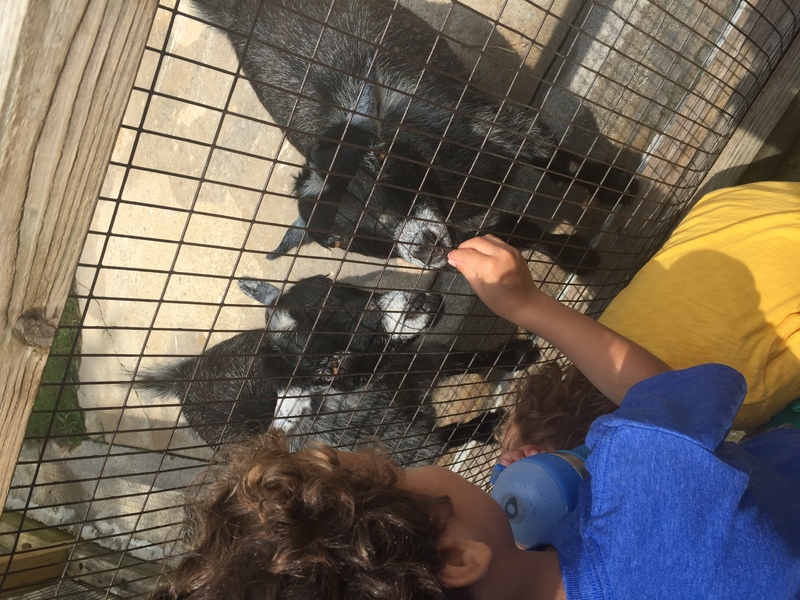 If you have kids and visiting Greenville, this is a must-do! Conveniently, it’s walking distance from downtown Greenville, as well. The Greenville Zoo. Maybe it’s because the always-crowded Los Angeles Zoo is so massive, but I absolutely adore this tiny but awesome and charming zoo. 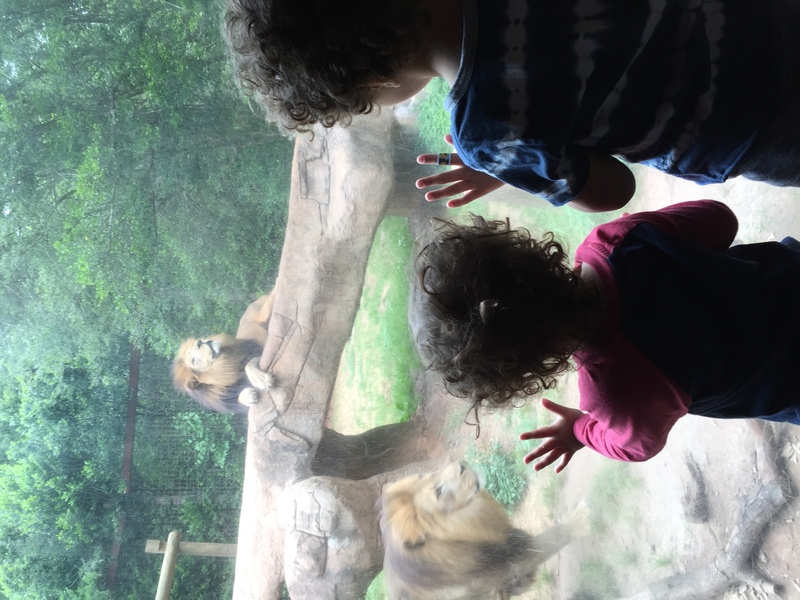 The zoo can be navigated in under an hour, especially if you have kids like mine who sprint from one exhibit to the next. There’s also a great playground next to the parking lot. Gravitopia. 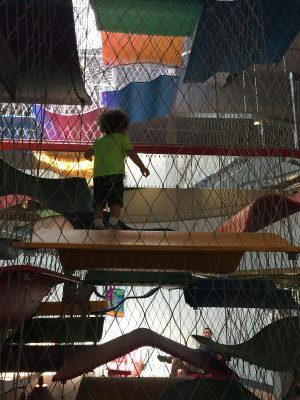 We have a few trampoline centers like Sky High in Los Angeles, but Gravitopia tops all of the ones I have visited, hands down! They have the best trampoline set ups, along with a Ninja Warrior area and a great trapeze area for adults and kids. My kids loved this place so much we went there twice. 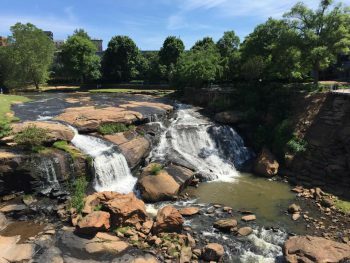 Falls Park on the Reedy River. In my opinion, this is the gem of Greenville. 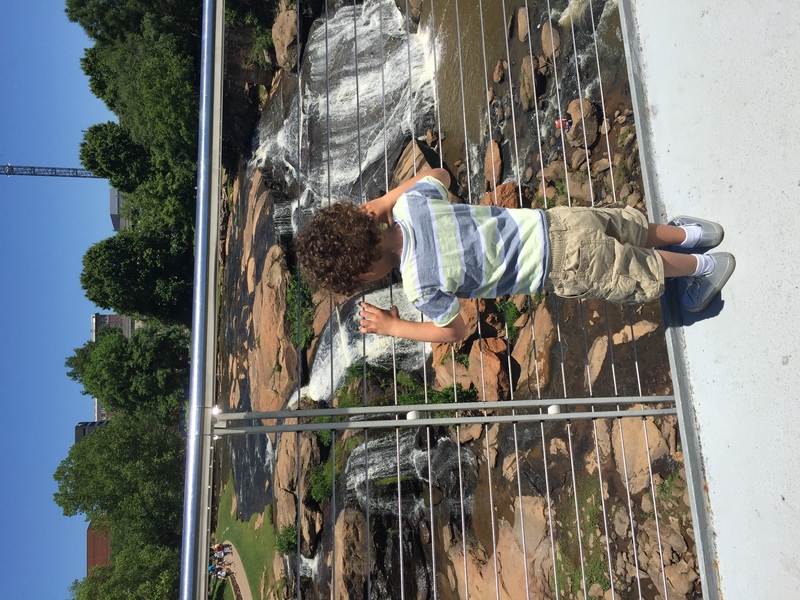 My kids love walking on the expansion bridge and watching the falls…it’s a stunning view. Last year we went for a walk here on a Sunday and partook in some great family activities geared towards kids. Main Street. You can spend an entire afternoon just enjoying Main Street. From their awesome General Store, the toy store next door, Tupelo Honey (our favorite restaurant…their Fried Green Tomatoes are a must! ), an impressive selection of ice cream shops and boutique stands, and their Saturday Farmers Market is top-notch. 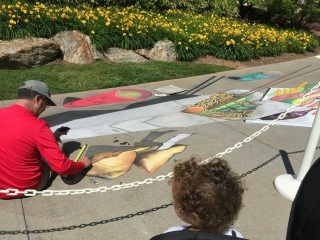 You can also catch some amazing sidewalk art. The Park at the Greenville Downtown Airport. 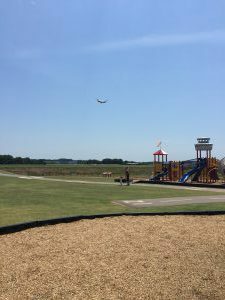 This is an awesome playground next to the tiny airport where the kids can watch small planes take off and land while playing. It offers a nice shaded area with tables for eating and it never seems to be very crowded. We have friends who live nearby and they always recommend meeting up here as it’s definitely the coolest playground for kids, especially those who love planes. Soby’s and Larkin’s on the River. These are our favorite dinner restaurants that won’t disappoint. We’ve even had brunch on Mother’s Day one year at Larkin’s and their buffet spread was like a dream.